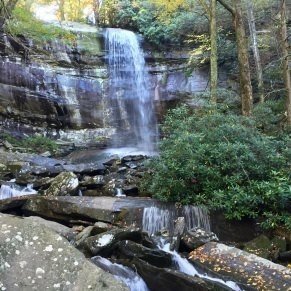 Deep Creek Loop is a 4.6 mile scenic hike near Bryson City, North Carolina that features several waterfalls, wildflowers, and a peaceful river. 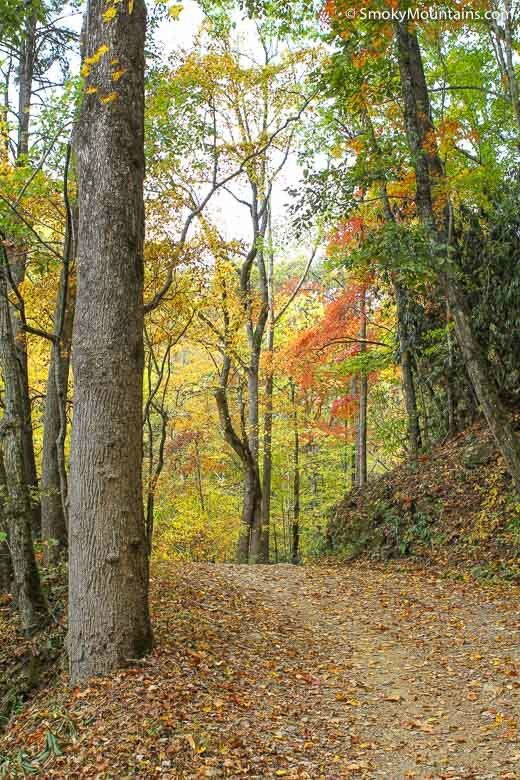 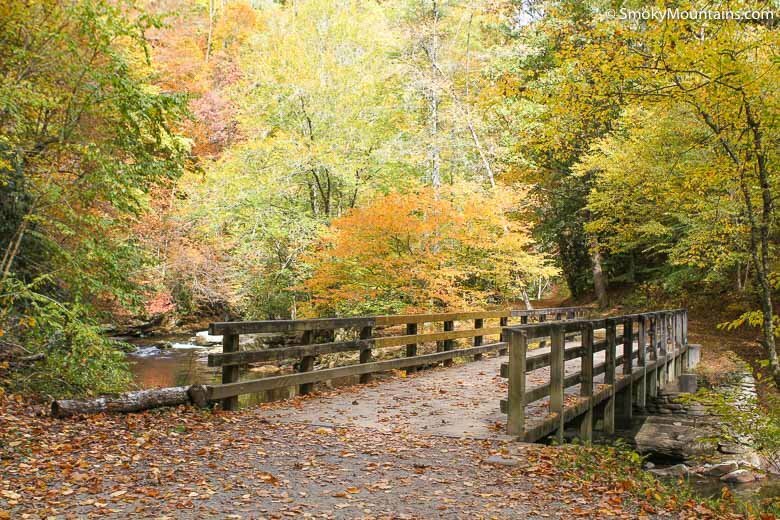 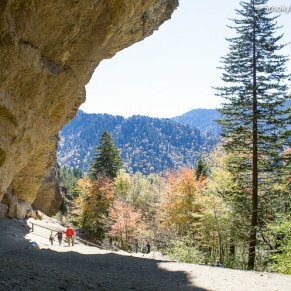 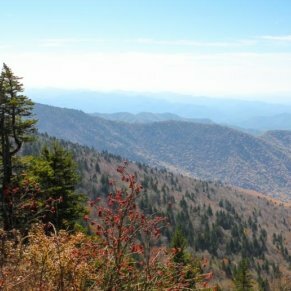 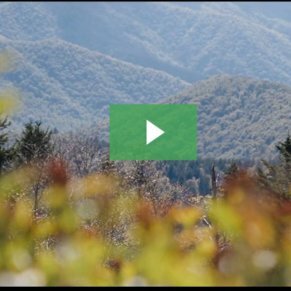 This moderately difficult hike is a great idea for day trip from the Gatlinburg area. 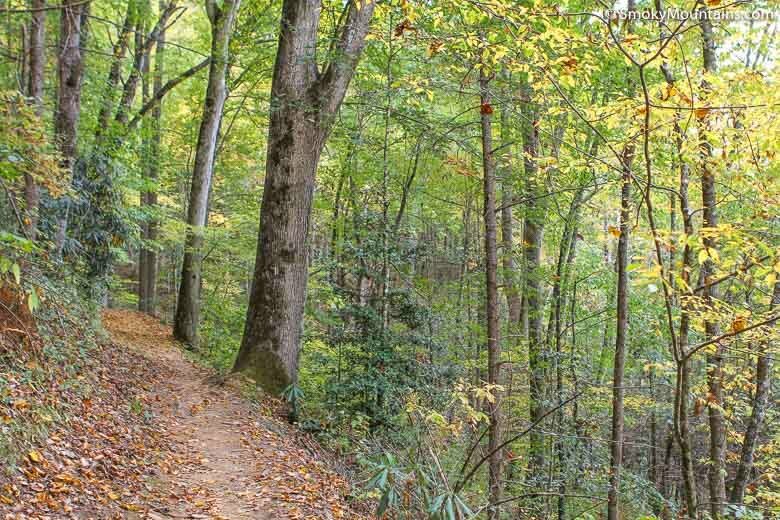 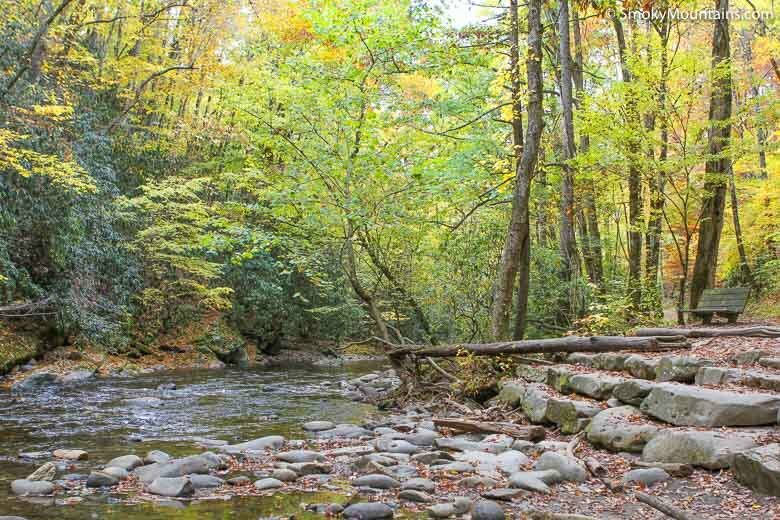 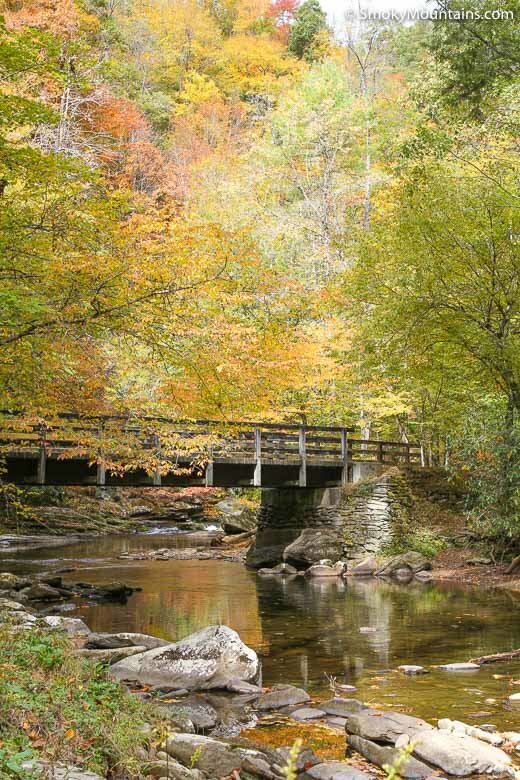 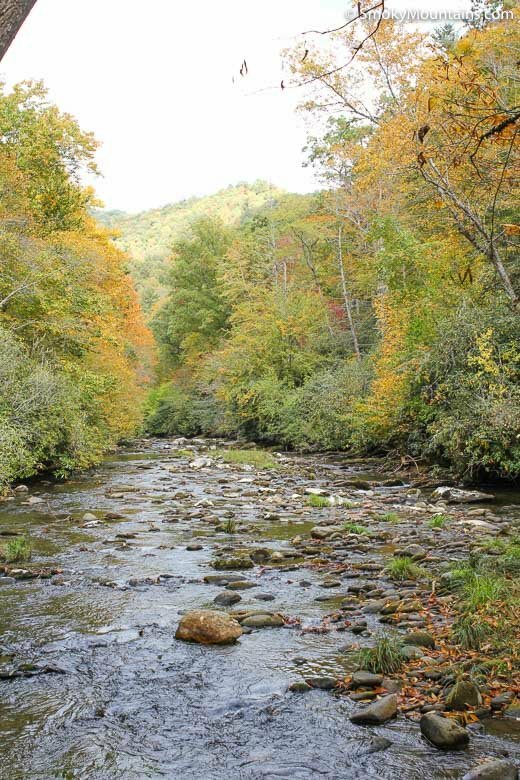 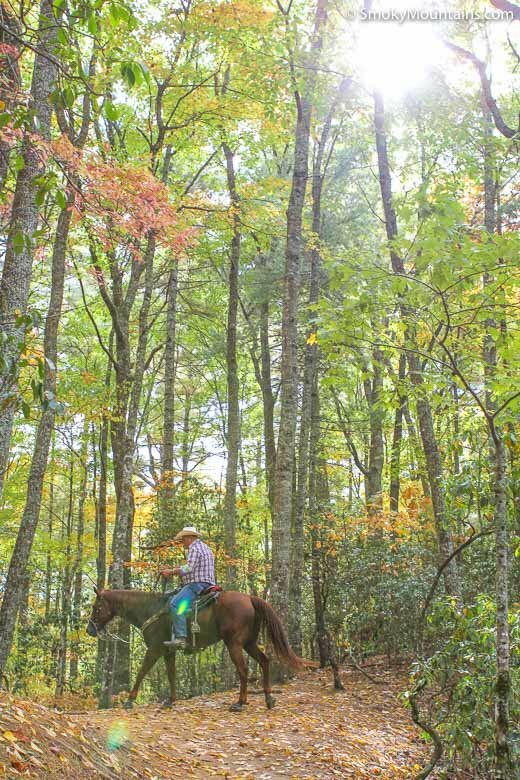 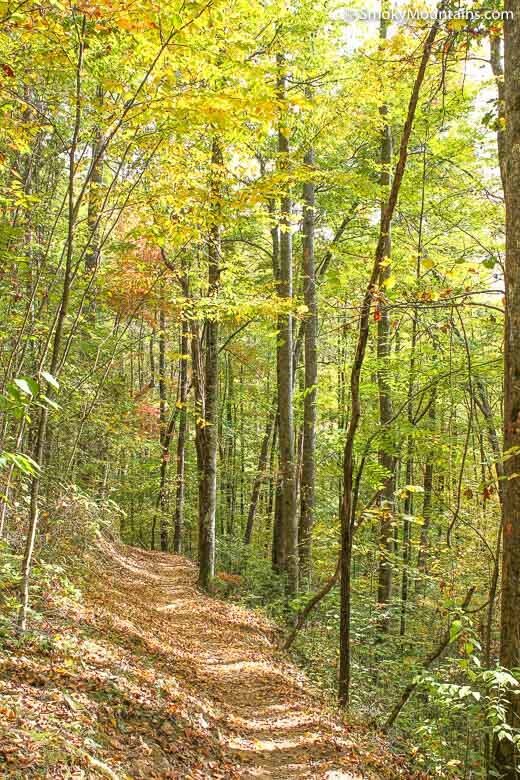 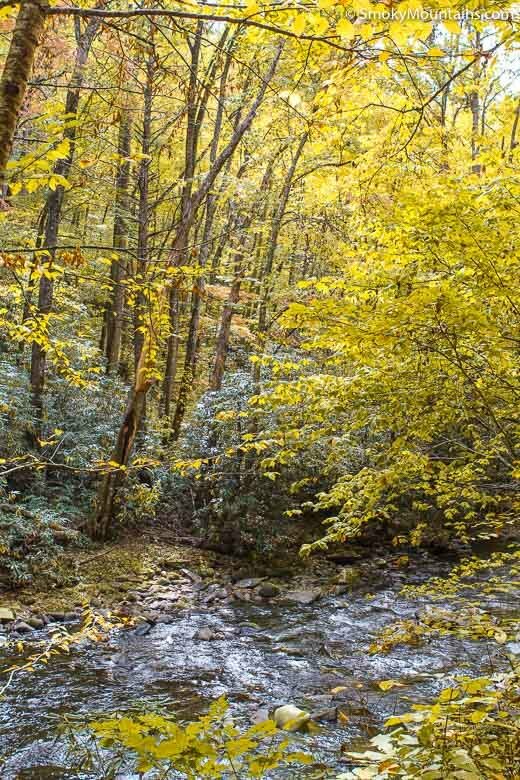 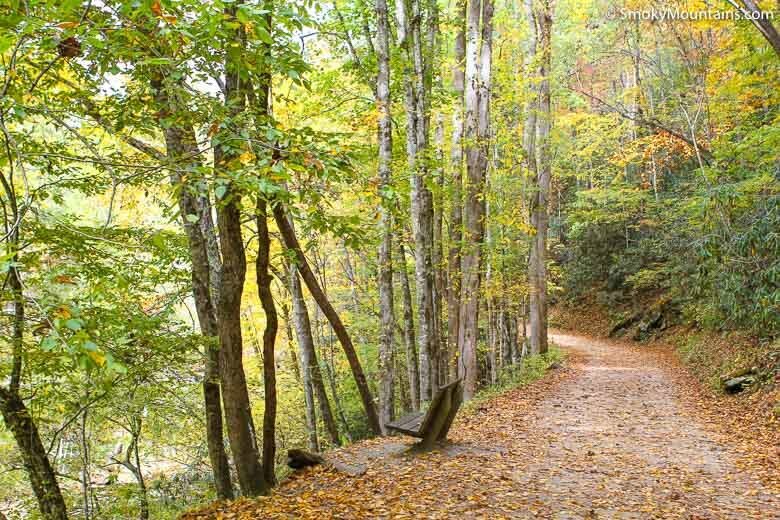 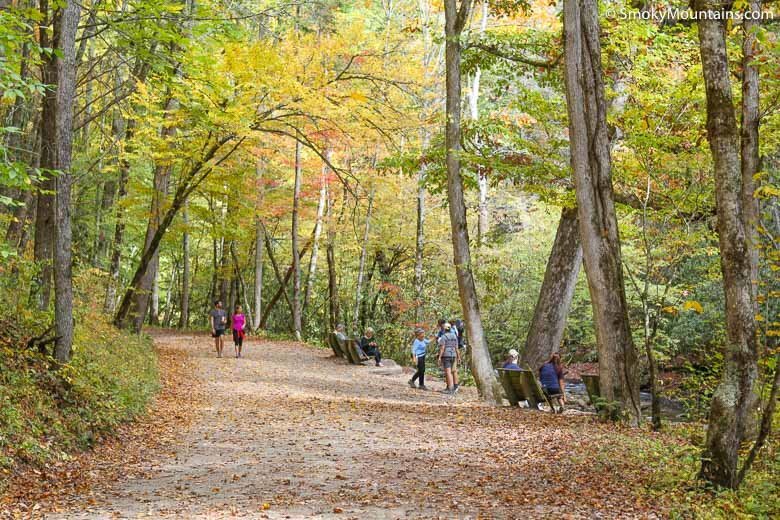 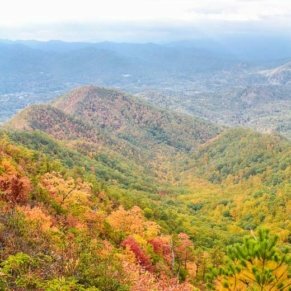 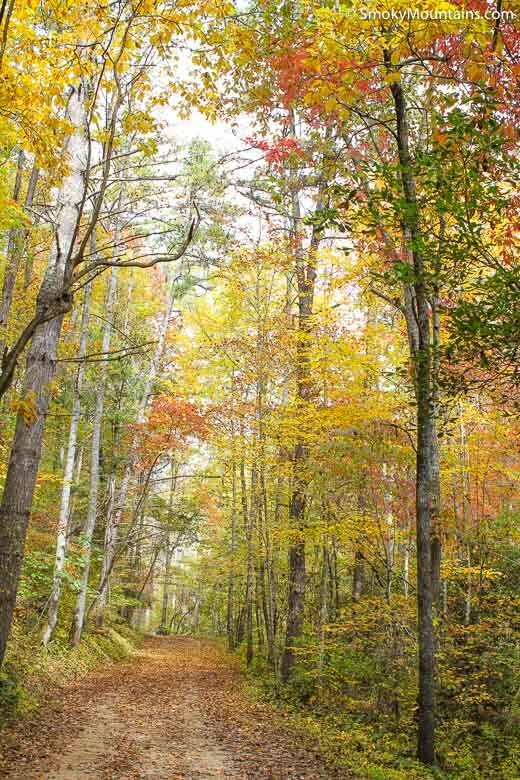 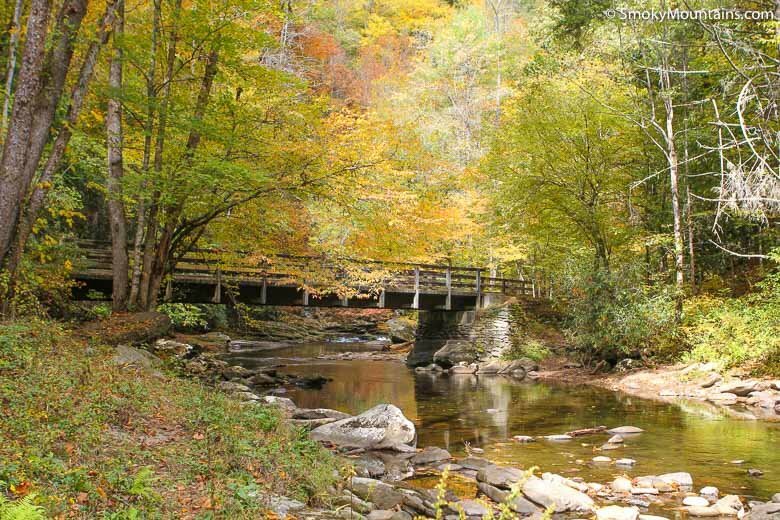 The Deep Creek Loop Trail, which is located just outside of Bryson City, North Carolina, is a moderately difficult, 4.6 mile roundtrip hike with rewarding water views, plentiful wildflowers, and peaceful river sounds. 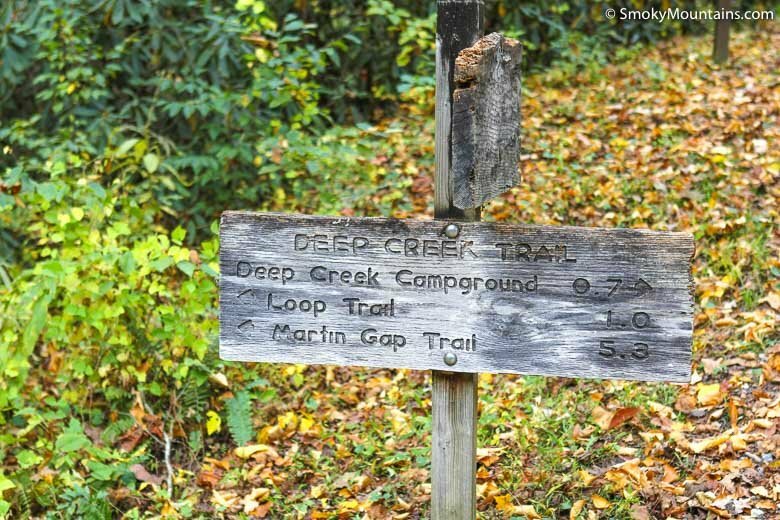 At the trailhead, the Deep Creek Loop begins as a wide path following the Deep Creek upstream. 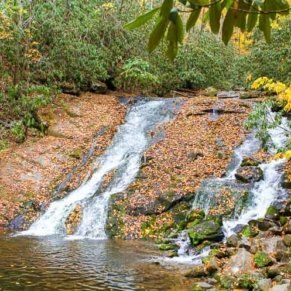 After a brief three-tenths of a mile hiking, you will come to the beautiful Toms Branch Falls, which is a towering 80-foot waterfall! 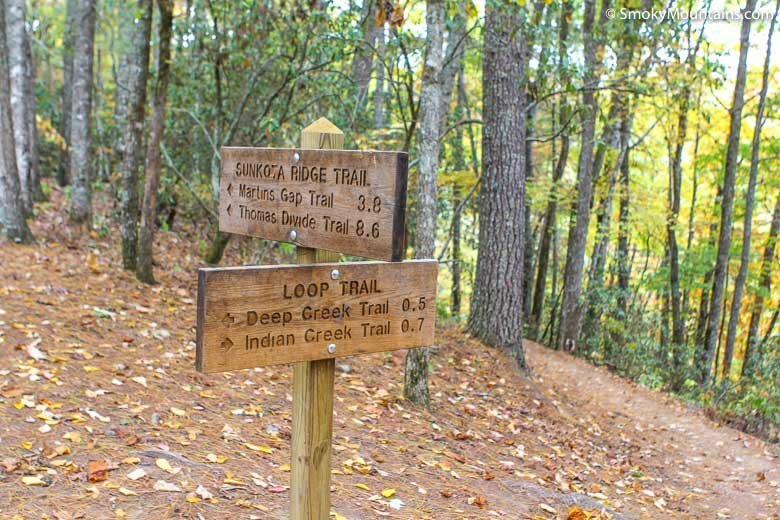 Approximately 0.8 miles into the trail, turn right onto the Indian Creek Trail – this marks the beginning of the trail loop. 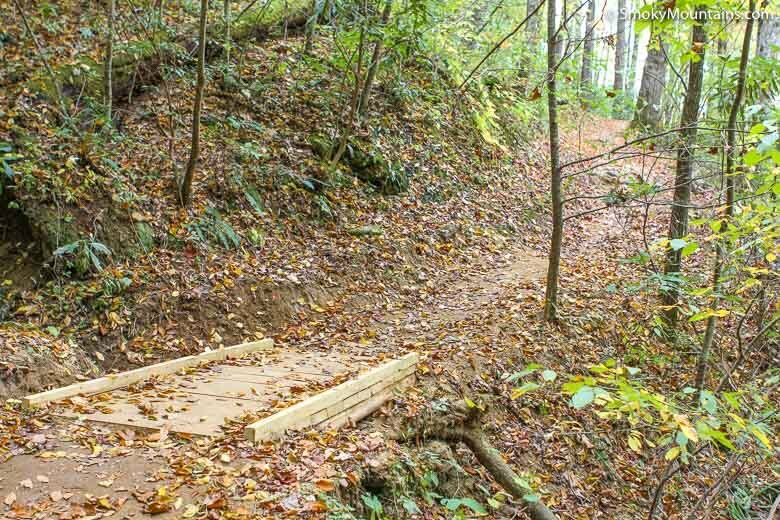 One-tenth of a mile after this junction, you will see a small trail on your left side – this trail leads down to a beautiful 45-foot waterfall and is well worth the jaunt. 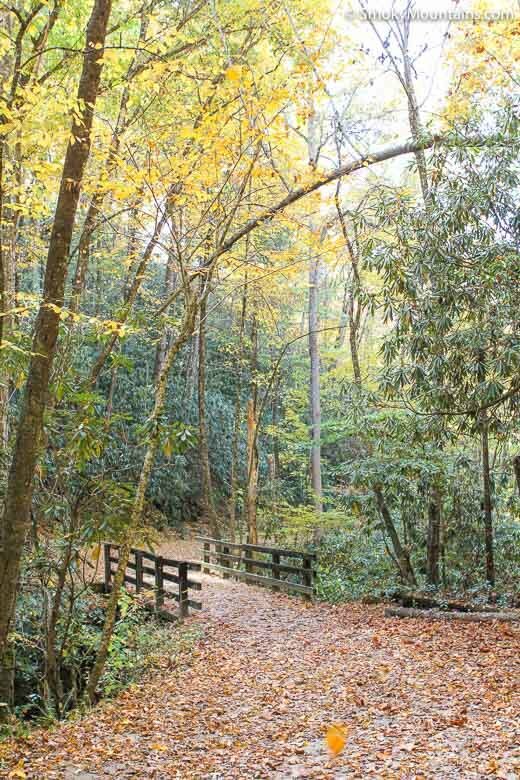 After rejoining the main trail, continue hiking over a footbridge and past the Rhododendron-rich Indian River Valley on your right .Around 1.4 miles, you will reach a junction in the trail – continue straight ahead (one mile to the right is the Thomas Divide). 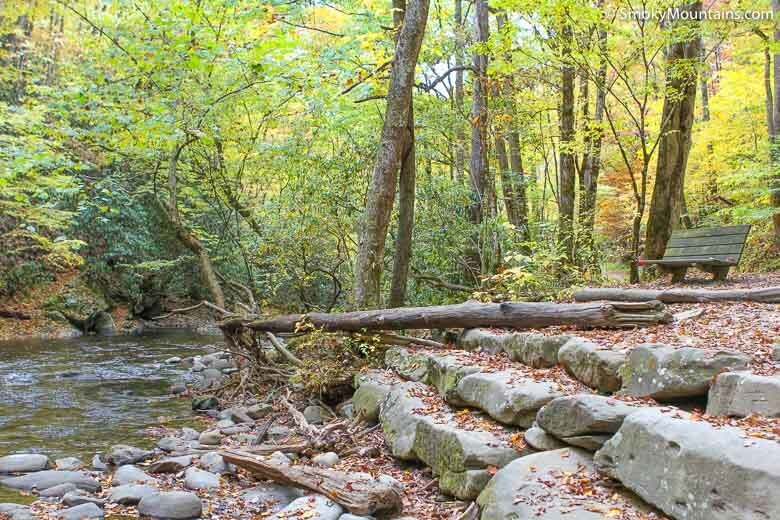 When you get to the 1.7 mile point, there is an intersection with the Deep Creek Loop – turn left to stay on the loop and ascend 350 feet over the next half-mile. 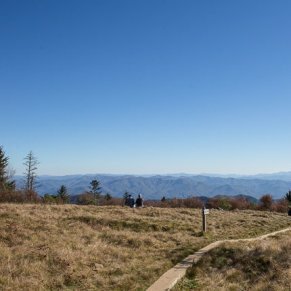 Next, you will reach the Sunkota Ridge junction at around the 2.2 mile mark – to stay on the loop trail, continue straight ahead. 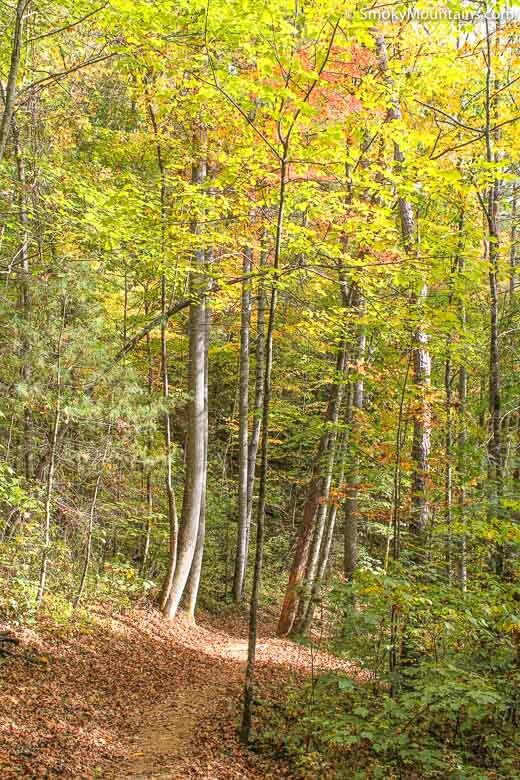 This is the highpoint in the Deep Creek Loop trail and it is downhill or flat hiking from here! 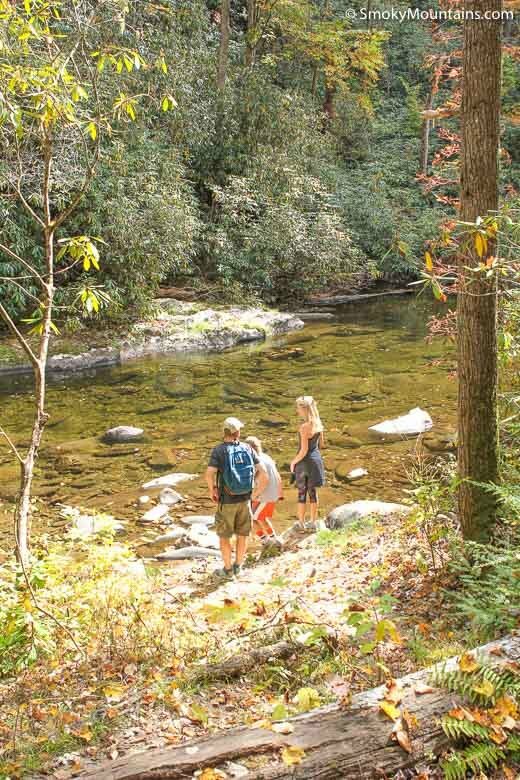 At approximately 2.9 miles, you will reach the Deep Creek Trail again – turn left. 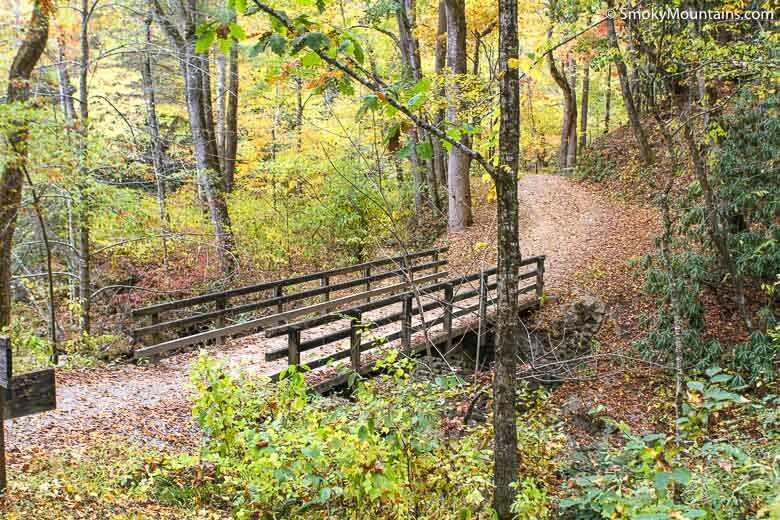 Now, you will continue across a footbridge and follow the trail back to the parking area. 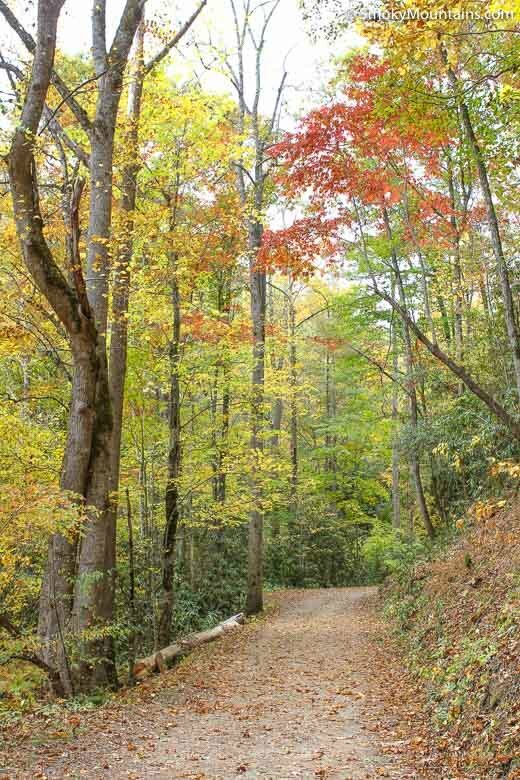 From Gatlinburg, drive into the National Park on the main Parkway. 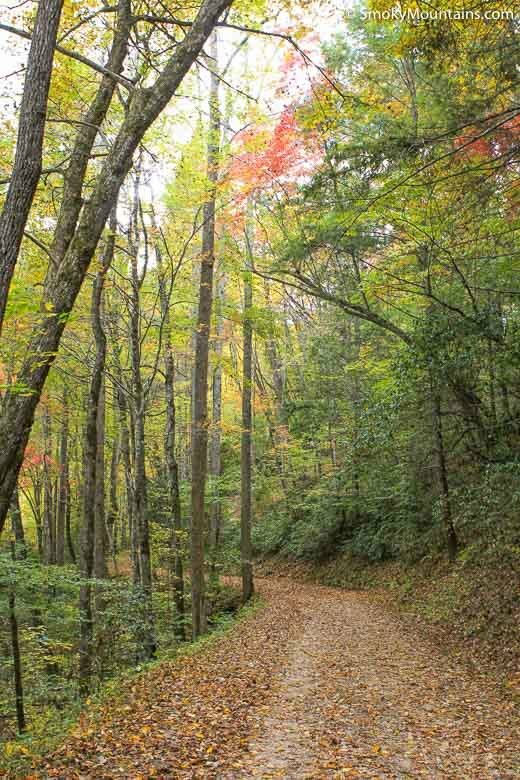 When you pass the Sugarlands Visitor Center on your right, take note of your mileage and continue 32.1 miles through the National Park. 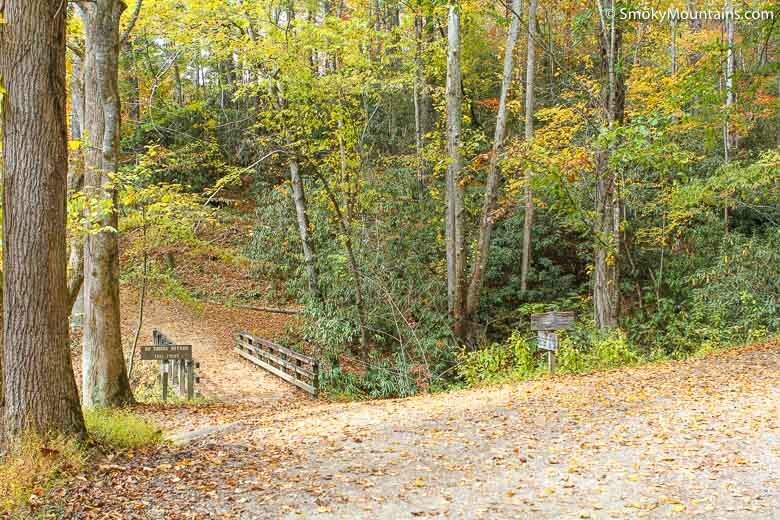 Once you reach the intersection of Route 441 and Route 19 in Cherokee, turn right on Route 19 and continue for 10 miles to Bryson City. 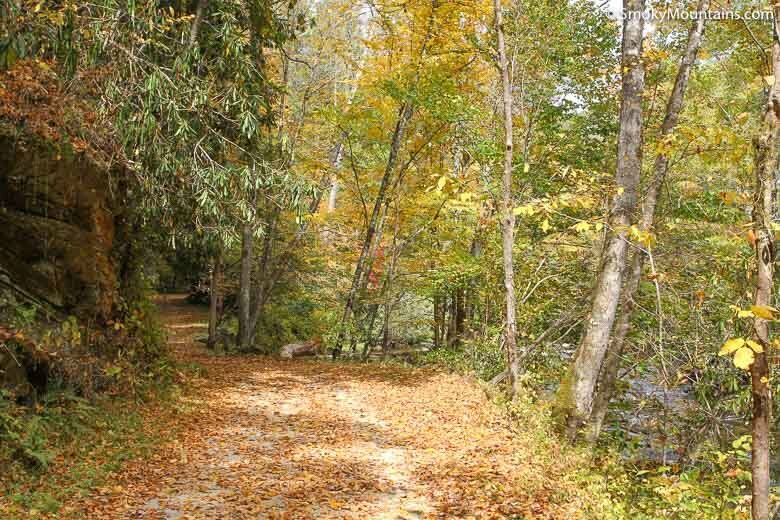 Turn right onto Everett and continue for 0.2 miles to Bryson Street. 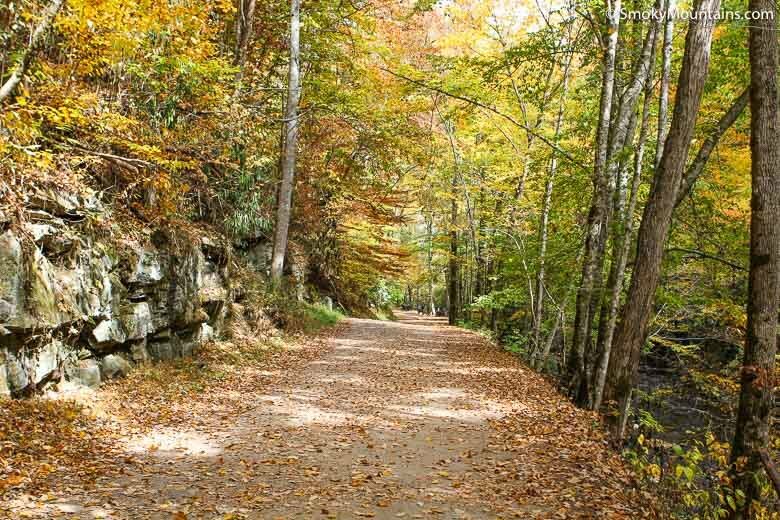 Turn right onto Bryson Street and continue for 0.2 miles. 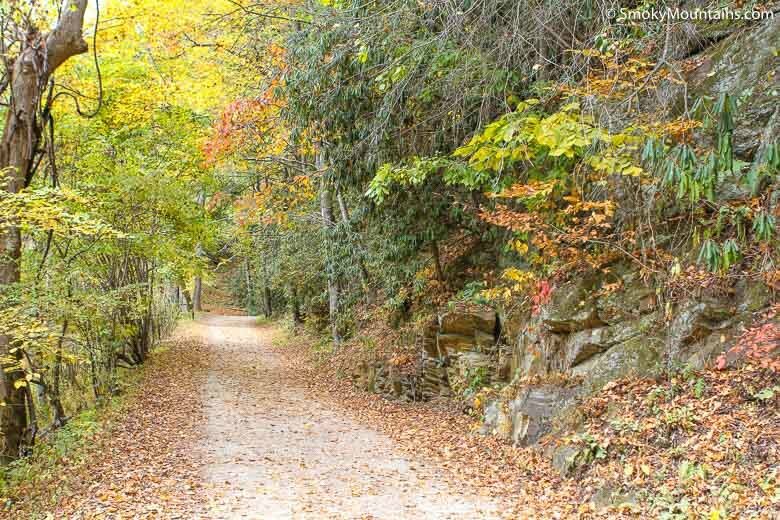 Take your third left, which is Ramseur Street. 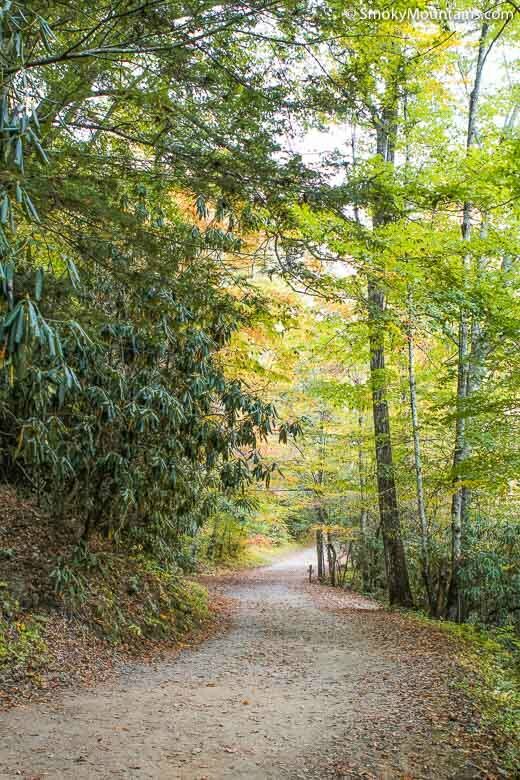 Make your second right, which is Deep Creek Road. 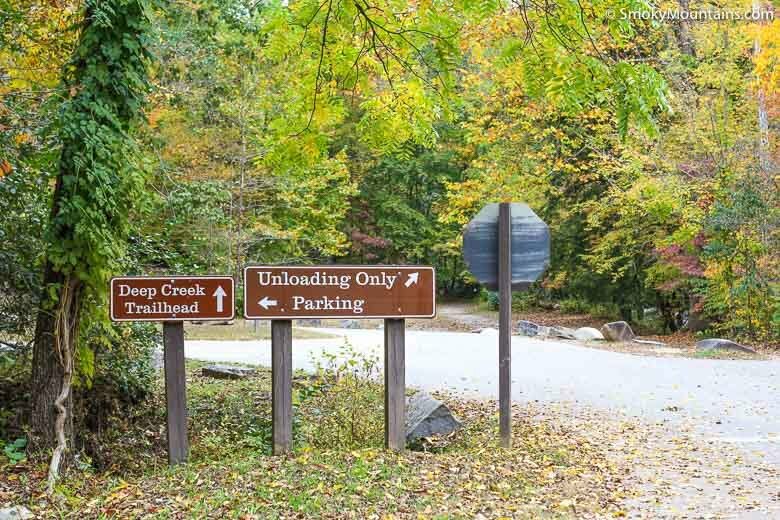 Continue on Deep Creek Road for 2.8 miles to the Deep Creek Loop trailhead (you will enter park 0.5 miles prior to arriving at the trailhead). 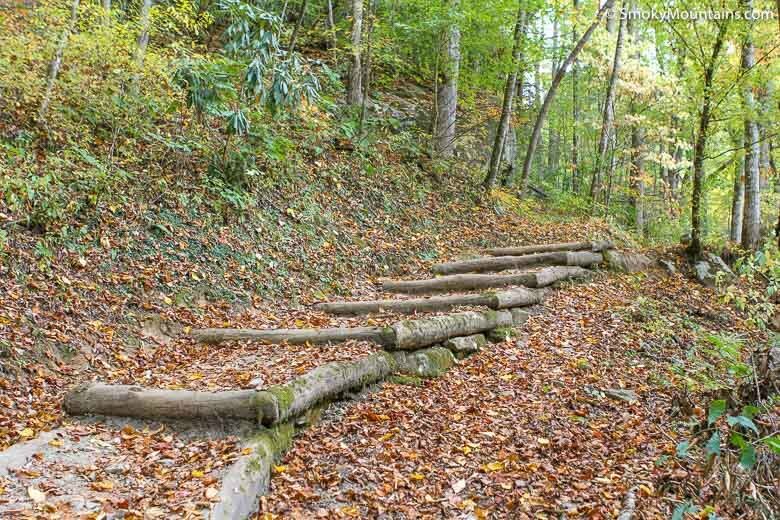 -This hike offers a stunning quantity and variety of wildflowers. 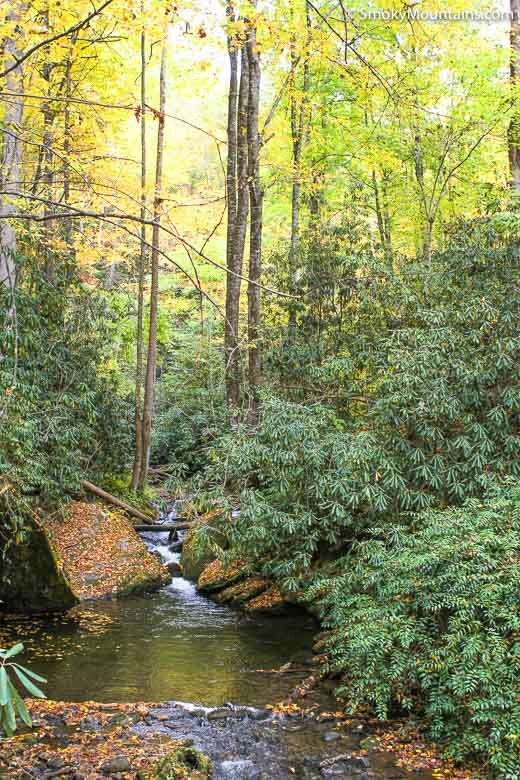 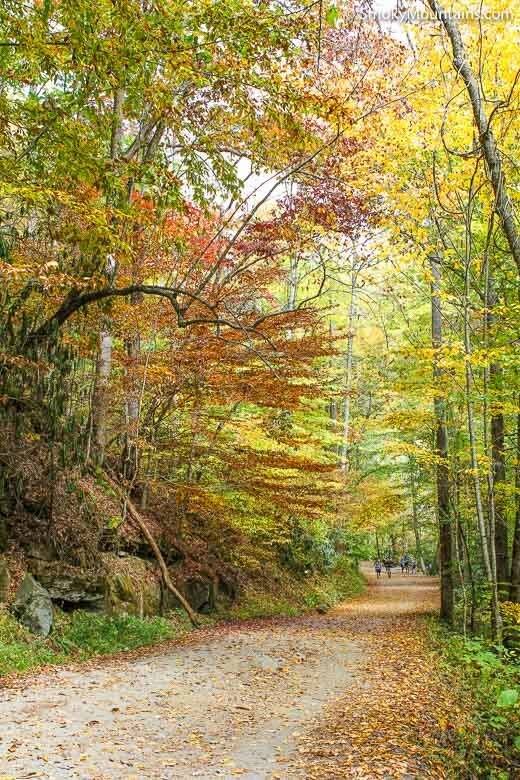 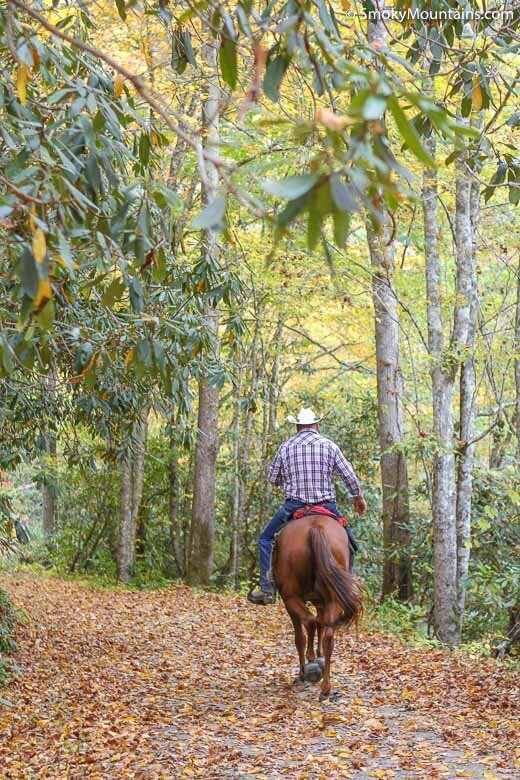 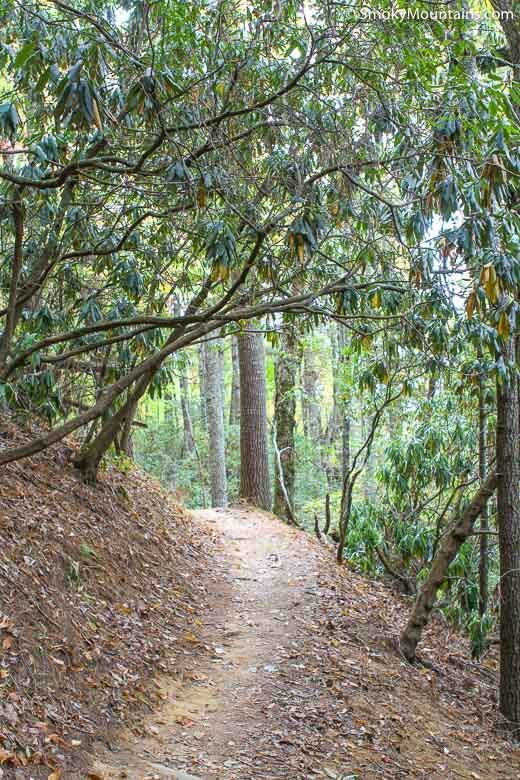 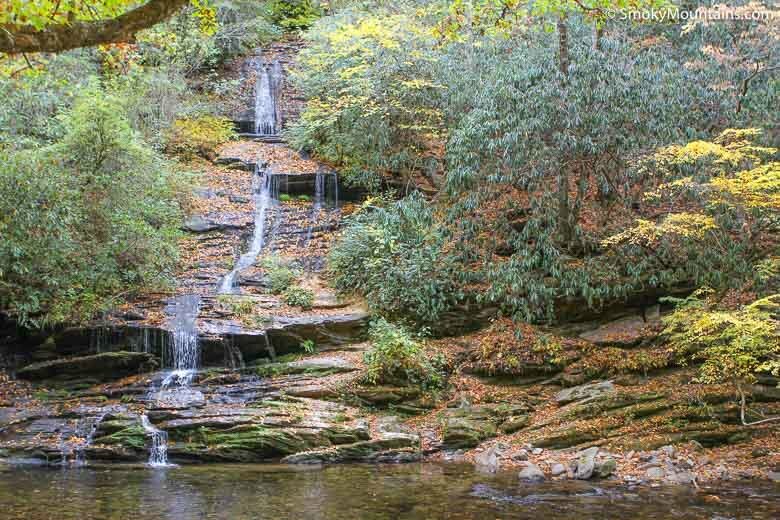 Depending on the time of year, you may see mountain laurel, trillium, flame azalea, rhododendron, and other popular species along the Deep Creek Trail. 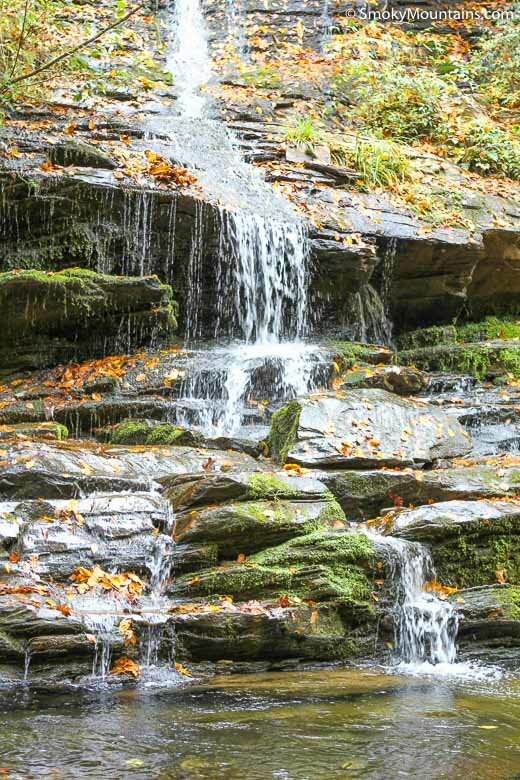 -This trail features two large cascades of 45 and 80 feet. 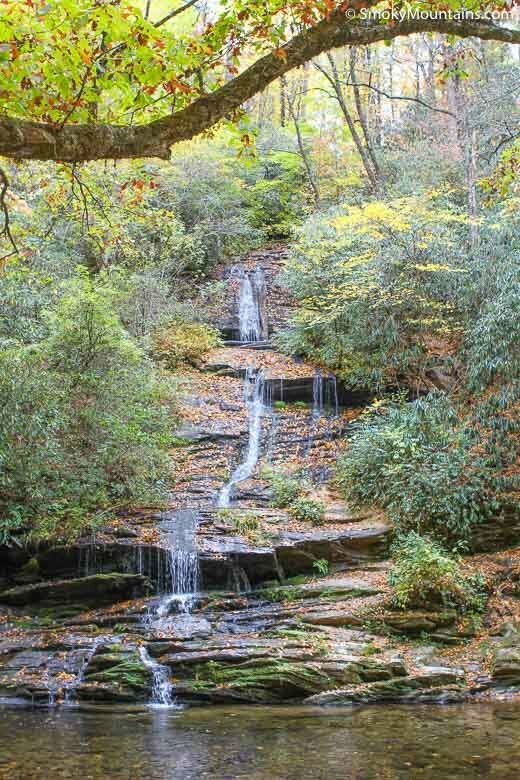 Smoky Mountain waterfalls are most impressive following several days of rain.